ICH Blog: The Carved by the Sea project: What is your favourite place in Bay Roberts? The Carved by the Sea project: What is your favourite place in Bay Roberts? 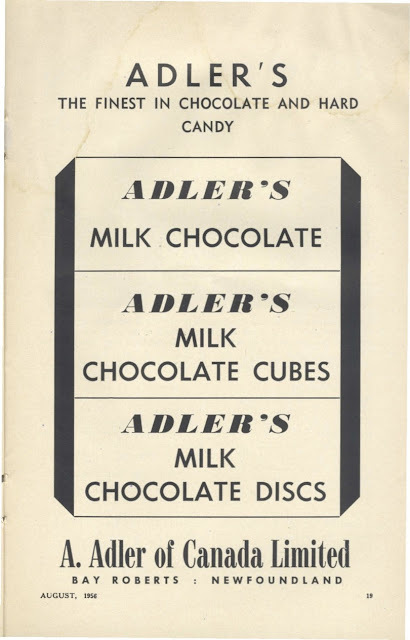 Advertisement for the short lived Adler chocolate factory in Bay Roberts. Opened in 1956, closed in 1960. This morning Dale, and I headed to Bay Roberts for a meeting with Marilyn Dawe, of the Bay Roberts Heritage Advisory Committee, and Mayor Philip Wood. This was the start of the Carved by the Sea project which will identify and conduct oral history interviews on a dozen heritage places in the community of Bay Roberts, NL. Based on preliminary survey work, Heritage NL will work with the community to prioritize a dozen places for research, identify possible oral history subjects, conduct interviews, and then transcribe, edit, and make that material available and accessible through the Bay Roberts museum/archive, Memorial University’s Digital Archives Initiative, and an online Virtual Museum of Canada Project. The places identified by the community for folklore and oral history research will represent a variety of spaces. Some of these places are well known community landmarks that tell of the town’s long history, and which tie the present to the earliest days of settlement. The remaining potential heritage places are less well-known, and largely undocumented. They reflect neighbourhood oral traditions, local folklore and folk belief, and speak to Bay Roberts’ history as an early to mid twentieth-century commercial centre. What is your favourite place in Bay Roberts? 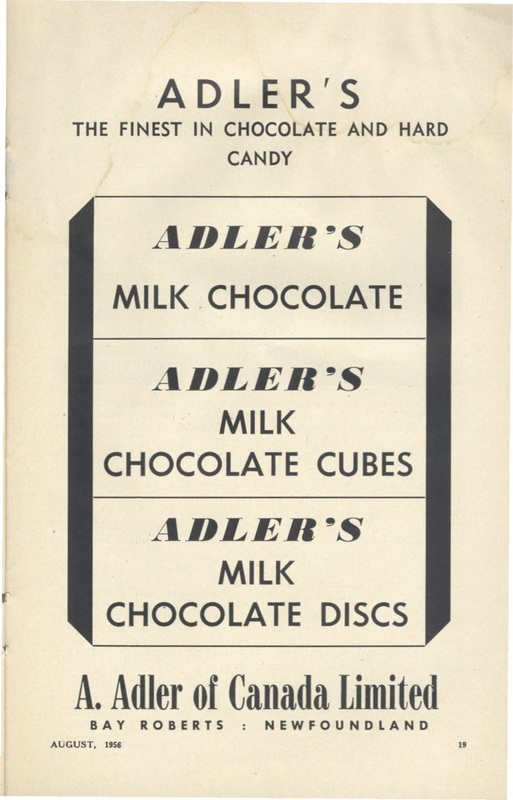 Do you have a story about the chocolate facory? Let us know!